It does truly look very good in a stupid sort of way. So what does Stephen Fry have to do with things? It’s a simple answer, he is Voice Over Guy, sorry, that should read as The Narrator. I’m not sure what the difference is apart from the way the trailer is narrated. Not only that, we have also been sent the new poster for the film. That as well as a set of character posters for the film. 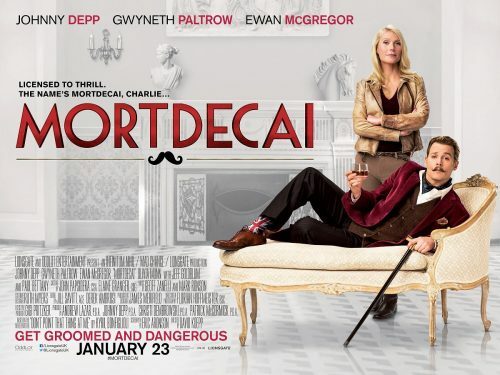 Juggling some angry Russians, the British Mi5, his impossibly leggy wife and an international terrorist, debonair art dealer and part time rogue Charlie Mortdecai must traverse the globe armed only with his good looks and special charm in a race to recover a stolen painting rumoured to contain the code to a lost bank account filled with Nazi gold.